Bundle includes one each of ARPROTO1, ARPROTO2, ARPROTO3, and ARPROTO4. 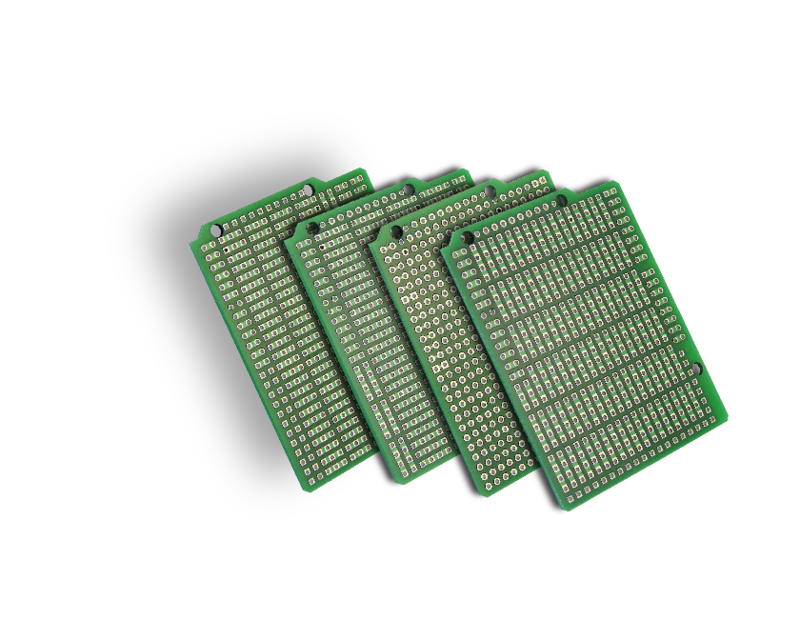 These are high-density prototyping shields intended for constructing application circuits for Arduino or Esduino using classic point-to-point wiring methods. Four different classic pad patterns to support different types of through-hole parts (e.g. 7-segment LEDs, bargraphs, DIP switch, DIP chips, pin-row headers, etc.). Pad arrangements of the prototyping shields can be found here, and can be printed off at actual size to plan your application layout.